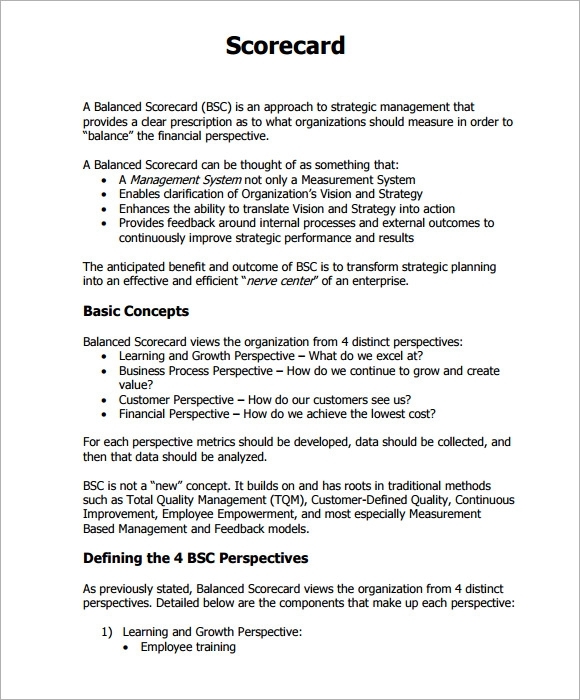 A balanced scorecard can help to improve the performance of a business. 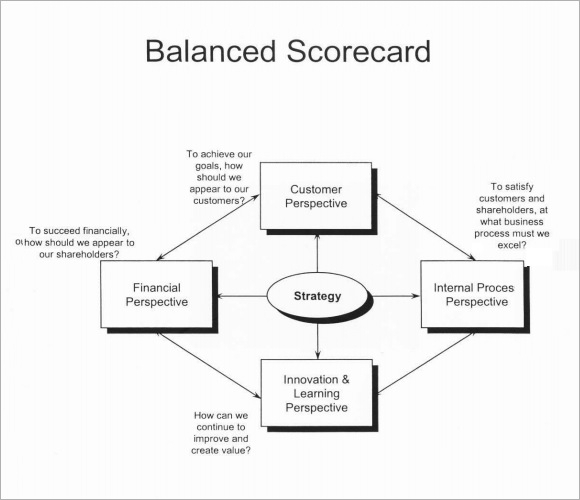 These scorecards contain description about business objectives, KPIs, strategy maps, and specific action plans. You can check various options of commercial scorecards here. These are just the examples which can be modified according to your personal requirement.These Scoreboard Templates can be used to make scorecards for presentation purpose, or as a guide to help you started with a project. They prevent you from making typical mistakes while making a scorecard. They can be used by start-up companies, non-profit organization, and training project and by human resource department. You can also see Euchre Score Card Templates. 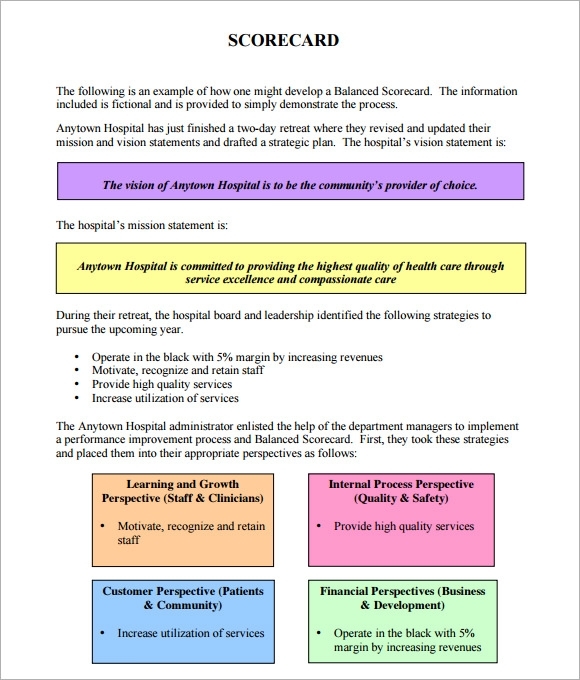 An example scorecard template is an interesting template containing scorecard that can be used in a hospital. This is a sample document hence it can be referred to as an example of scorecard. The template also contains interactive content so one can refer to them for knowing the exact way of filling up a scorecard. This template is thus a guide on writing down a medical score card. Access this document online from the link below for free use. 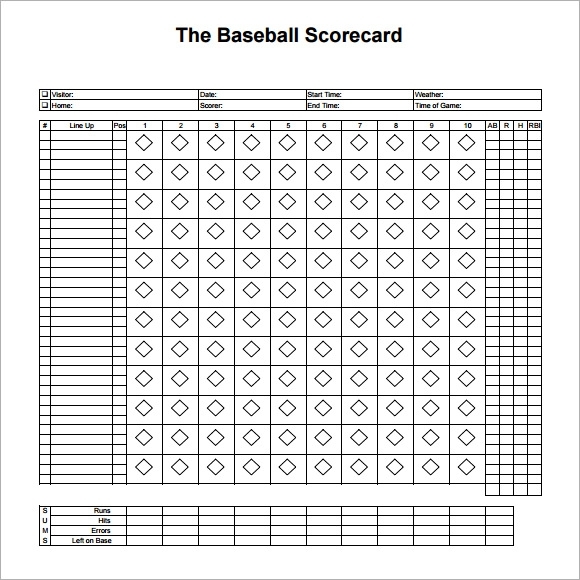 A blank scorecard template is a mouldable template containing a blank but balanced format of a scorecard. One can use this template for marking score of anything- a competition, a service or a product. The template is in tabular format with headings like measure, baseline, goal and the strategy, which can be used by the user for multiple purposes. Download this template for online use in various formats. 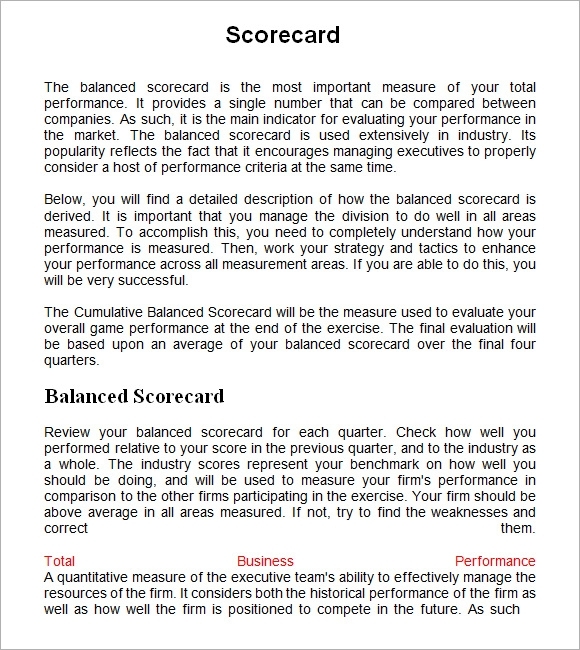 A scorecard word template is another good example of a scorecard that can be used by one for writing down the score of a business organisation or a particular service provider. Made in an elaborate way, the template listed here tells the whole format of writing down a just scorecard. This template is available online for free use in Word Format. 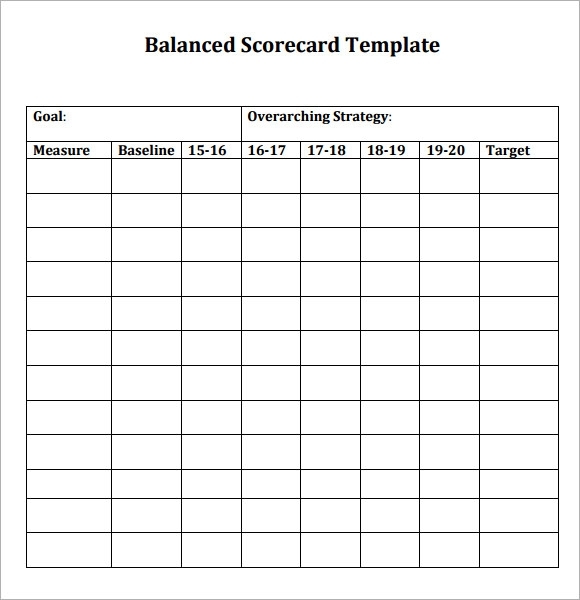 Why do we Need a Scorecard Template? A scorecard is a medium for collecting the unbiased and unhampered details relating to a business firm, school performance, hospital report and many other things. This template must contain free and fair review of the performance or situation of a person, group or a company. Thus if one is seeking an honest and professional toned response then they must use these scorecard templates that judge everyone with equality. Thus these scorecard templates are needed for listing some good scorecards. When do we Need a Scorecard Template? One might need a scorecard template when one is accepting or rejecting a particular business proposal. It is important to maintain a scorecard to deliver the receiver an unbiased and clear picture of his proposal. This is important to maintain a professional tone. Also, reports relating to medical ailments should be objective and just. They should not be sentimental or exaggerated thus for that as well, a scorecard template must be referred. 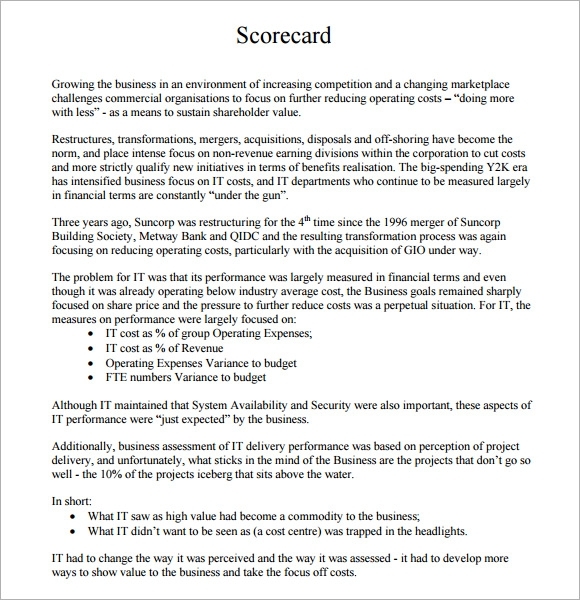 What are the Benefits of Scorecard Templates? Score card templates are a reflection of the actual position of business entity, business proposal, medical report, business plan, and many other things. A scorecard template has to be detailed but crisp i content. And the templates listed in this portal are crisp and effective. Each one follows a proper format and uses exceptional language. Thus the samples are also great quality samples that can also be used as it is if your need is justified in these templates. One can access these free templates online in formats like Word and PDF. One can download the scorecard templates listed here for referring to content that is fair, just and specific. These templates help one in drawing a clear picture or scorecard of a business plan or proposal. These templates can be accessed online for free fro th download link given below each template.